Methow Cycle & Sport is a four season, full service bike and nordic ski shop in Winthrop, Washington, located in the Methow Valley – North Cascades Highway. We offer mountain bikes (full-suspension and hardtails), road bikes, kids bikes and fatbike rentals by the half day, business day or overnight. During the snowy winter months, we also rent cross country skis (classic and skate), boots, snowshoes, pulks and hok skis. Trail and parking passes are available too. 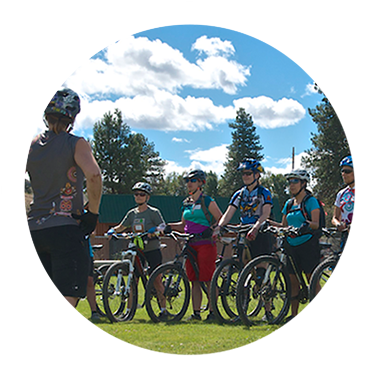 Consider us the local experts for all the bike and XC ski trails (as well as current conditions) throughout the Methow Valley, from Mazama to Winthrop, down through Twisp, Carlton and the town of Methow. Stop in and say hello, we love sharing our favorite outdoor adventures with our customers. We partner with great bike brands such as Trek, Kona, Santa Cruz, Juliana, Salsa and Electra. Plus, our certified repair technicians can keep your bikes tuned and your skis waxed for best performance. We also have all the latest gear, tools, nutrition, maps and accessories to make the most of your experience. Methow Cycle & Sport online store has great branded gear like tshirts, jerseys, socks, bike bags, cups and water bottles. Nothing brings me more enjoyment than sharing my day with all the familiar and unfamiliar faces that stop in our little shop tucked away in the Methow Valley. I love the Methow for many reasons and I hope that I can do my small part to make our community stronger and more vibrant.